Our School and pupils play a full role in working with and supporting the local community. 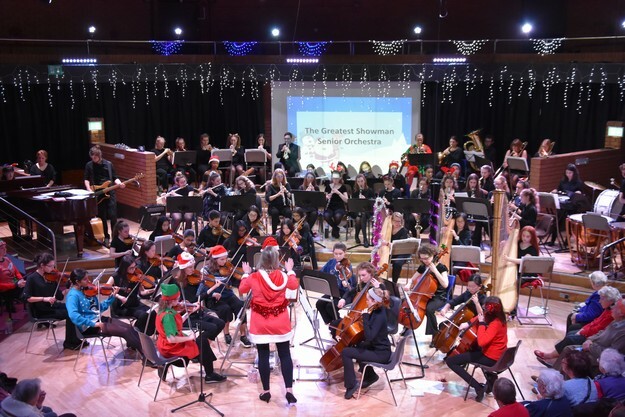 This section provides a flavour of the School’s public benefit activities, including the Sixth Form Volunteers and partnerships with local schools. We also have a number of international partnerships, including annual trips to charities and schools in Uganda and The Gambia. A summary of our community involvement can be seen on the Independent Schools Council Schools Together website. We are very proud of the large sums of money raised by all pupils for charities both close to home and far away and more information is included in the Fundraising and Global Connections sections. The following is a summary of the activities in the 2017-18 academic year, most of which are on the calendar each and every year. 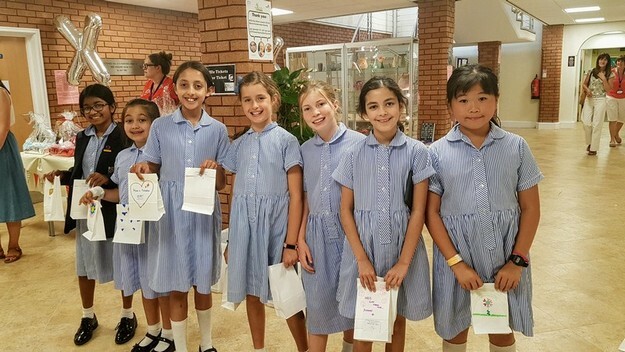 Citizenship Day is an annual event when pupils are encouraged to think carefully about their role as citizens in a variety of communities – our school community, our local community and our global community. And not only to think about it – but to do something themselves to contribute their time and talents to benefit the wider community. It is always a valuable and insightful day, enjoyed by girls and staff alike, when everyone finishes the day with a better sense of their roles and responsibilities as citizens locally and globally. The most recent Citizenship Day took on a different shape than in previous years because so many pupils were involved with the School production of The Phantom of the Opera, both backstage and onstage. The solution? 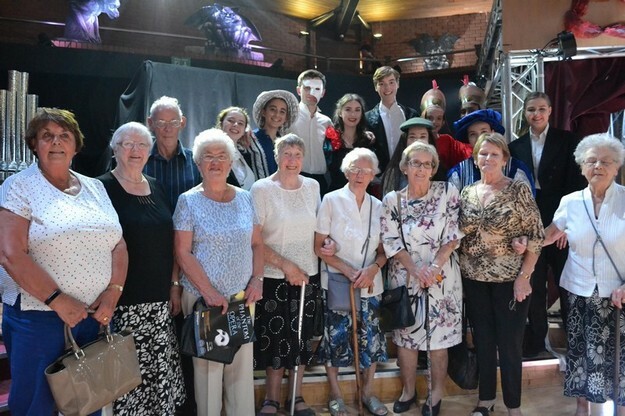 Our Senior Citizen guests – more than 200 people from the local area, including care homes, churches and day centres – who usually enjoy a tea party with music and sing-alongs, instead had the bonus of seeing our Phantom production as well as enjoying a tea party! 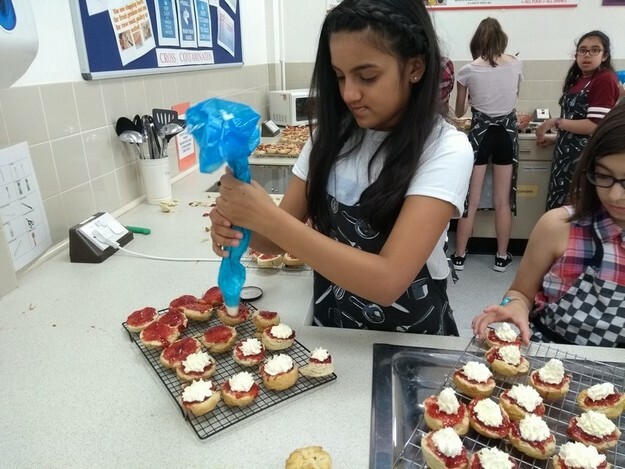 As ever, Year 7 pupils became bakers and pastry chefs for the day, creating a wonderful variety of cakes, biscuits and table decorations for our visitors. Junior pupils had a day of wideranging activities, including creating take-home gifts of handmade coasters for our guests and then distributing them, beautifully wrapped, at the end of the Phantom performance. They had first aid tuition, a whole-school weaving activity and took part in discussions and debate about citizenship and enhancing others’ lives. They were also delighted to host children from Pictor Academy in Timperley, a school for children aged 2-11, with special educational needs arising from a range of conditions. Some of the children have difficulties communicating with others, with play and imagination, or physical difficulties. 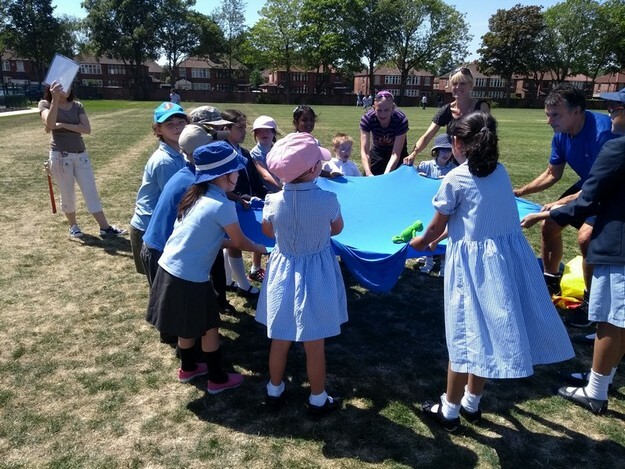 Our girls shared a picnic lunch and then took part in some fun games and parachute activities. The visit culminated in a craft session, which the girls conducted with the younger children. Both the children from Pictor Academy and our own girls thoroughly enjoyed the visit and it was an enriching experience for all involved. 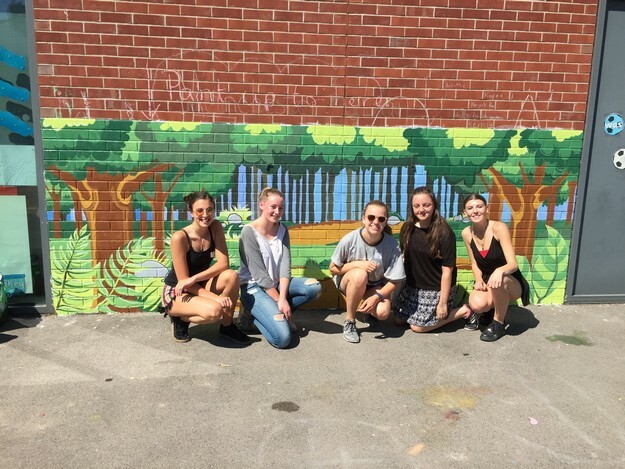 As was established last year, a team of Sixth Form artists painted murals in the playground of a local primary school. Old Moat Primary now has some very colourful scenes and graphics in their playground. The remainder of the School (Years 8, 9, 10 and 12) took part in a sponsored walk in aid of The Christie. Everyone walked in Houses and the old Fallowfield Railway Loop became a sea of primary colours – red, green, blue and yellow – as girls walked ten miles to Chorlton Water Park and back. Everyone was delighted to be supported by Christie Bear who braved the hot day to cheer everybody on! Over £1,500 was raised from the sponsored walk. 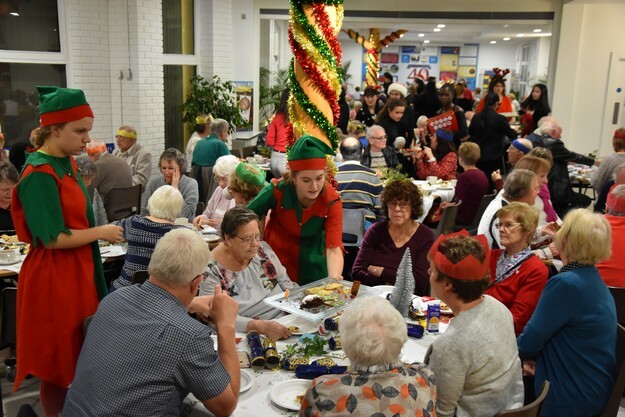 The School has hosted a Christmas concert and ‘picnic’ for local elderly people for many years. Pupils at the school are actively involved in the organisation of the transport, the provision of the food and the entertainment. 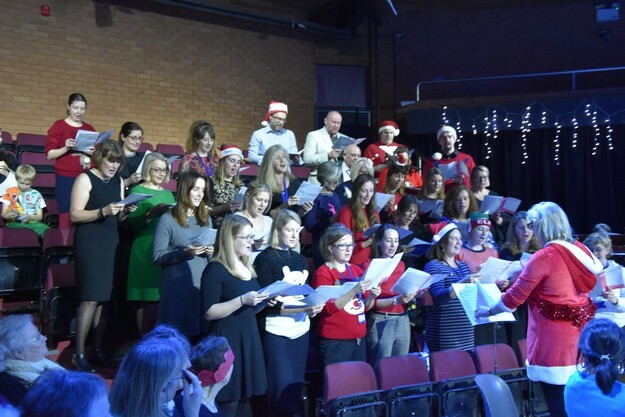 One of the highlights of the festive season, more than 100 residents from the local community enjoyed a party tea followed by a Carol Concert in the Arts Centre with performances by the Senior Choir and Orchestra. Young Chemistry Communicators is a project overseen by Techniquest Glyndwr and funded by the Royal Society of Chemistry. 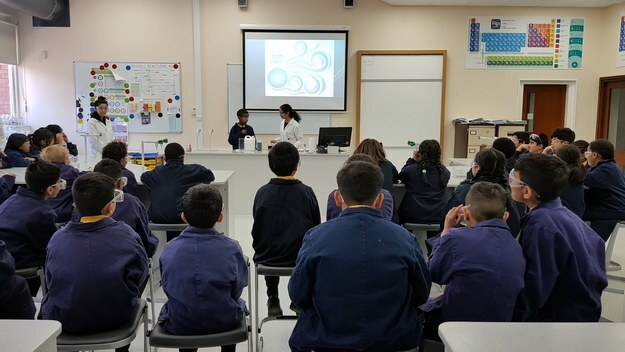 The intention is to enhance the communication skills of Sixth Form chemists and deliver Chemistry-related activities to younger children, in order to inspire them to study the subject. Last year, shows were presented to children from Acacias Primary School and to Longford Park Primary School. We are very proud of the impact of our SHINE Saturday Morning Science classes on raising the aspirations of local Junior School children. This summer, Wild in Art, Manchester City Council and The Lord Mayor of Manchester’s charity, We Love MCR, brought Manchester’s communities together to create ‘Bee in the City’ – a stunning public art trail of over 200 individually designed giant bee sculptures, in and around our wonderful city of Manchester. We are absolutely delighted that Withington was a part of this huge public art event. 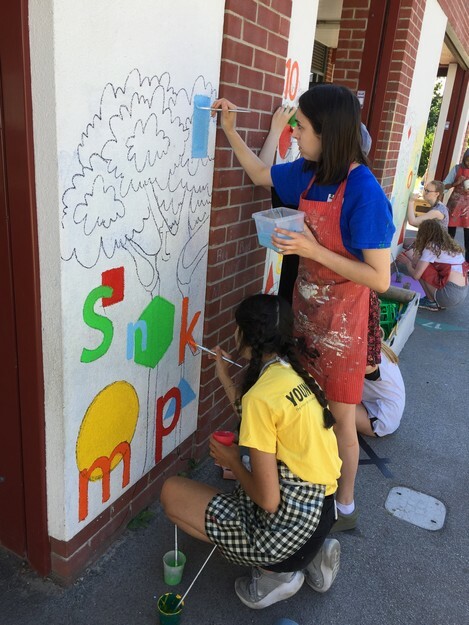 Our girls worked alongside the Art Department, to design and paint our beautiful ‘DiversiBee’, over just one week in the Summer Term. She proudly wears the flags of the countries from which our girls and staff originate, showing how extremely proud we are of our diverse community and that of our great city. 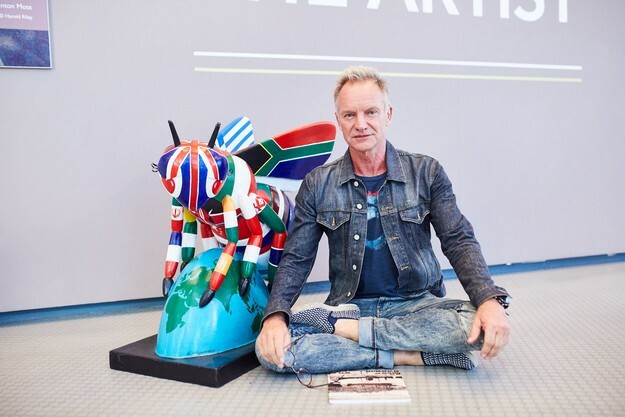 Diversibee was on show at The Lowry Theatre and we were thrilled when the legendary Sting was photographed alongside her. The School has links with schools and a hospital in both Kenya and Uganda and engages in community projects in both The Gambia and Uganda each year. The community projects aim to improve the quality of life for the low-income community in rural areas with support in education, health and farming. 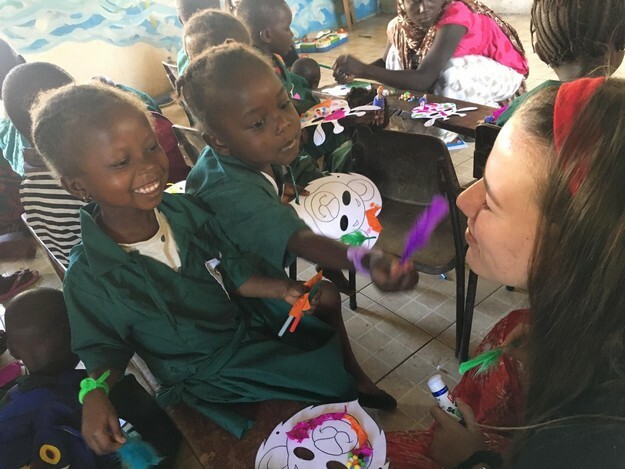 Over the last year, Withington pupils have fund-raised for a borehole in the Gambia, allowing a village to access fresh water, and for a fence round the Glory Be nursery school in Uganda. All pupils engage in charity fundraising throughout the year for local, national and international charitable organisations. 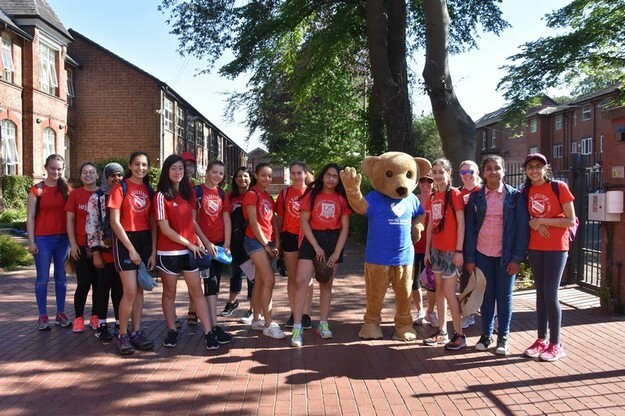 This has included the sponsored walk for The Christie Hospital, which raised over £6,000, and the Dance Competition, which raised over £5,000 for IPPF, Centrepoint Manchester (a charity for the homeless), and the Maua Hospital, Kenya. Pupils raised £27,004 in total in the 2017-2018 academic year. Withington makes its facilities available free-of-charge as part of its role in supporting the community. Facilities are used by The Manchester Association of Cambridge University Women and The Association of Language Learners, and Withington is also a test centre for the US SATs, the TSA (Thinking Skills Assessment), and ABRSM exams. We hire our Arts Centre theatre facilities to a local faith School for their annual awards event and this year we accommodated a local youth theatre company for rehearsals and performances. Our brand-new, state-of-the-art sports facilities are used by various local clubs, including many University of Manchester Faculty Netball Clubs. As a member of North West Gifted & Talented, a charity which runs a number of courses for Gifted & Talented children throughout the region, Withington ran two Saturday events for Year 5 and 6 boys and girls from the local community; one was organised by the Mathematics Department and the other by the History Department. 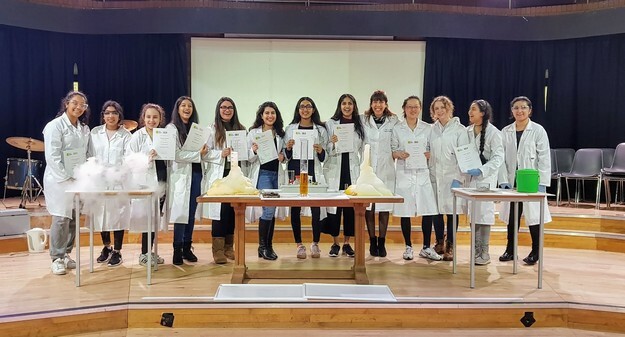 Over the past year, there has been a significant growth in the number of partnership activities with local schools organised by the Science Department at Withington. These have included the Isaac Physics Workshop, Physics Olympics, the Faraday Engineering Challenge, a Science Evening for a local Brownie pack, a lecture delivered by Professor Lord Robert Winston, Sixth Form Chemistry Communicators performing spectacular Science shows for local primary school children, Science Days at local primary schools and assistance at local state secondary schools with university applications. Members of Withington’s Sixth Form visit Mauldeth Road Primary School on a weekly basis to teach Latin to all Year 5 pupils . 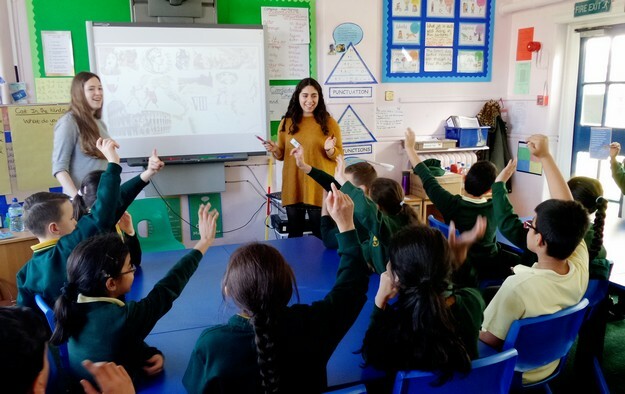 Last year, the Sixth Form pupils were joined by a group of Year 8 pupils who assisted in the organisation of an event run by the University of Manchester and Classics for All, hosted by Mauldeth Road Primary School. In recent years, talented mathematicians from up to nine schools across Greater Manchester and Cheshire have put their problem-solving abilities to the test at the Withington Maths Tournament. This inter-school competition for Year 12 students aims to introduce Sixth Formers in the region to the types of curriculum-stretching challenges they may find in their applications process for top universities. 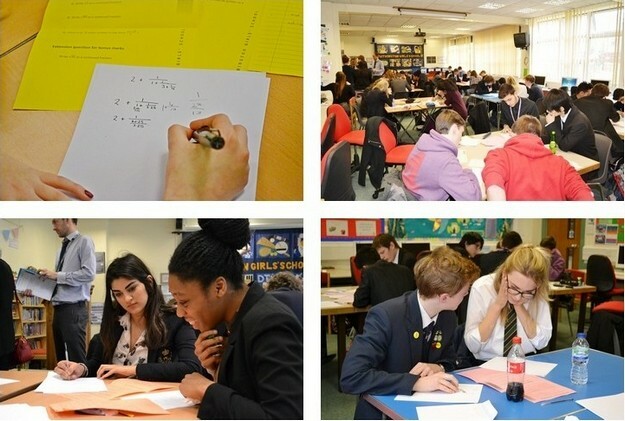 The Withington vision is to collaborate with other local schools – both independent and state sector – to provide opportunities for able young mathematicians to get together to stretch their comfort zones in preparation for study beyond A Level. of teams of four going head-to-head over three rounds. This year, the first round was based on the Sumaze app;Withington were extremely fortunate to be able to work with software engineers from MEI to produce ten gruelling levels for the teams to unlock.